Hotel Holt is an established and well known luxury hotel in the heart of Reykjavik. The hotel has a good reputation due to the outstanding customer service, great location and luxurious rooms. Our guests are well received by our multi-lingual employees. We strive to make your stay at Hotel Holt a memorable and an enjoyable one. Hotel Holt is a beautiful hotel, located in a quaint little street close to the city center. Reykjavik is a small and friendly city, which is easy to navigate and the location of the hotel is excellent with regards to reaching the heart of the city. The rooms at Hotel Holt are comfortable and clean. In addition, the rooms have all the standard amenities to enhance your “home-away-from-home” feeling. There are several options when it comes to booking a room at Hotel Holt, for instance: The suites (we have four suites), our Junior suites (we have eight junior suites) and standard double or twin rooms, (we have 21 double/twin rooms) and single rooms (we have eight single rooms). Feel free to browse the website for the perfect option that suits you and your family. The hotel is known the world over for its art collection, which is the largest privately owned art collection in Iceland, which makes the hotel even more unique. We recommend that you view some of the reviews our guests have written about us, on Tripadvisor and Facebook. The employees of Hotel Holt look forward to meeting you and welcome you to our hotel, and we hope you have an enjoyable and memorable stay in Iceland. If you have any questions, please feel free to contact us via e-mail. 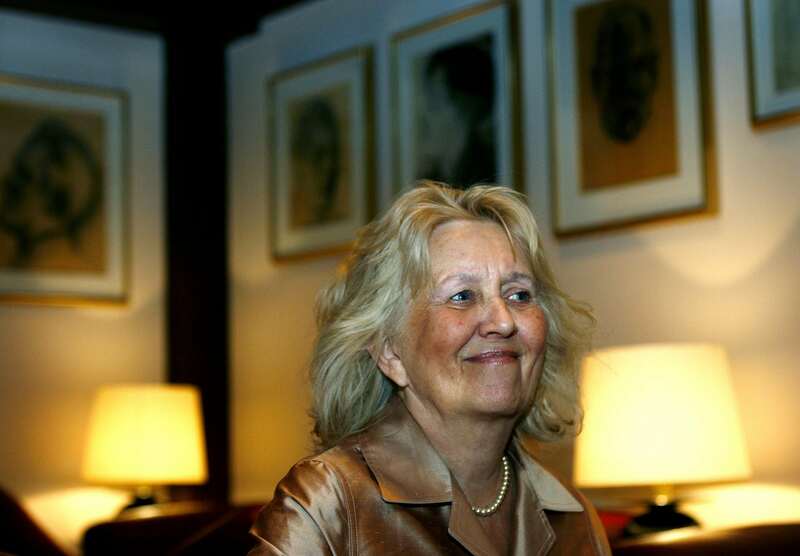 Geirlaug Þorvaldsdóttir has been the sole owner of Hotel Holt since 2004. She is the daughter of the founders of Hotel Holt, Þorvaldur Guðmundsson and Ingibjörg Guðmundsdóttir. Geirlaug worked at Hotel Loftleiðir (now Icelandair Hotel Reykjavík Natura) and in the lobby of Hotel Holt when she was younger, while finishing her studies. She taught foreign languages at the Menntaskólinn í Hamrahlíð upper secondary school for over 30 years. She graduated from the acting department of the National Theater of Iceland in 1972 and worked there for a number of years. She also worked in TV and radio programming and for The Reykjavik Art Festival for several years. Geirlaug has always been active in the community. She was a member of the board for The Icelandic Association of University Women for many years, 14 years of which as chairwoman. She has also been a board member for The Federation of Women’s Societies in Reykjavik, The Home Economics School in Reykjavik and The Mothers Fund of Reykjavik. Geirlaug’s children are Þorvaldur Kristjánsson, a national horse-breeding advisor of Iceland, and Ingibjörg Kristjánsdóttir, who is finishing a graduate degree in cardiology.